News Review 1) ICANN Org vs EPDP Access? 2) New gTLDs Next Round? Domain Mondo's weekly internet domain news review (NR 2018-09-30 with analysis and opinion: Features • 1) ICANN Org vs EPDP Access? 2) New gTLDs Next Round? 3) Other ICANN news: a. .AFRICA Litigation, and more, 3) Names, Domains & TMs: Malicious Domain Names, and more, 4) ICYMI: US-China Internet Bifurcation, Bad Internet Laws, Digital Cooperation, 5) Most Read. 1) ICANN & GDPR: ICANN Org vs EPDP Access? Next ICANN EPDP Team Meetings scheduled for Tuesday Oct 2, and Thursday Oct 4, 13:00 UTC, 9am EDT. Non-members of the EPDP Team can follow the EPDP meetings (including "small team" meetings Wednesday and Friday this week) via Adobe Connect or audio cast via browser or application. Editor's note: links to transcripts and Adobe Connect recordings will be posted here, as made available by ICANN. Note that links to EPDP meetings' transcripts are posted (usually within 24 hours) on the GNSO calendar. See also EPDP Team wiki, mail list, Temp Spec, action items, EPDP Charter(pdf), GNSO's EPDP page, & weekly updates to GNSO Council. Oct 4 EPDP Meeting (agenda), meeting transcript (pdf), chat transcript (pdf), Adobe Connect replay, MP3, Purpose N (pdf). Data elements workbooks. Editor's note: meeting discussions were led by 2 CBI facilitators, Gina Bartlett and David Plumb. Wed. Oct 3 small group meeting: background document (pdf). Editor's note: 2 facilitators from CBI.org were at this meeting--Gina Bartlett led the meeting and David Plumb was present--so apparently CBI.org has been retained for further "facilitation and mediation" although the details are not known. The Wednesday small group EPDP members present: Alex Deacon (IPC), Laureen Kapin (GAC), Ben Butler (SSAC), James Bladel (RrSG), Marc Anderson (RySG), Margie Milam (BC). NCSG (6 EPDP members) was MIA (missing in action) for most of the meeting with no explanation or apologies noted--Stephanie Perrin (NCSG) did appear more than an hour after the meeting started. Stephanie Perrin (NCSG): "note that the registrars will be held accountable for how well informed the individual is. If they give away their rights because they were not well informed, it will be the registrars fault." Ben Butler (SSAC): "Thank you Stephanie. That would seem to raise the importance of getting the educational resources item right." Stephanie Perrin (NCSG): "Caution is required here ....if civil society were to sue under the GDPR, in my view (remember, I am not even a lawyer let alone a litigator) the strategy would be to go for ICANN as data controller responsible for the policy, and the registrar as data controller for the client relationship data." Agenda item 4) Review data elements workbook for purpose C - Enable communication or notification to the Registered Name Holder and/or their delegated parties of technical and/or administrative issues with a Registered Name (see https://community.icann.org/x/5AC8BQ). "... about the only valid primary purpose for gathering data from the registrant is so that you can give the registrant the rights to a domain name that’s--that is the most legitimate purpose there is." Clueless to the end, ICANN CEO Goran Marby’s final statement to the EPDP working group: "It was fun" (transcript, supra, p. 32). Marby's Tuesday EPDP session Adobe Connect replay and MP3 audio. ICANN CEO Marby sends a profoundly mixed message: he says repeatedly the community makes policy and he doesn't want to preempt it. At the same time he invites governments to sanction ICANN as an authority. Doesn't that fundamentally pre-empt what the community does? Kurt Pritz, EPDP Chair: "I’m certainly aware of the concerns and even criticism of our progress to date, so I've taken, you know, every comment I’ve heard on board. And in hindsight we might [have] do[ne] some things differently ... while I wish we were further ahead, I don't feel so bad about it ... You know, personally, I don't think that the multistakeholder model can take [any] more of these top down temporary specifications before it falls in on itself ..."
Milton Mueller (NCSG): "Hi. I’m Milton. I spoke to Margie Milam of the Business Constituency who has disappeared but I didn't do it." Alan Greenberg (ALAC): "I talked to Farzi [Badii] who the last time I heard her introduce herself, introduced herself as Farzaneh Badass. And she’s a ... concert violinist in the making." David Plumb (facilitator): "Yes, not surprising." Alan Greenberg: "Badass or concert violinist?" Editor's note: there is no question some substantive work was done during the F2F, but whether it was enough to meet the EPDP's tight timeline is questionable. We may have a better idea after the EPDP meeting(s) this coming week, depending on how well the EPDP working group, and its Chair Kurt Pritz, function without the three facilitators from CBI.org who led most of the F2F meeting sessions. "I mean, from some of the things I’ve seen in the chat it looks like the third party mediators were a positive thing, but it’s not clear to me whether or not any substantive progress was actually made at the face-to-face or are we going to end up in yet another RDS PDP type situation? The other thing as well is, I mean, the – whether or not this kind of outside the EPDP lobbying by certain groups – whether that’s having any impact on the general morale of people involved within the EPDP." --Michele Neylon (RrSG), GNSO Council Meeting, Thursday, 27 Sep 2018 transcript (pdf), p. 38. More info on the EPDP F2F meeting in last week's News Review. NTIA [US gov] Seeks Comment on New Approach to Consumer Data Privacy--RFC--25 Sep 2018. ICANN Webinar (one hour) data protection/privacy (GDPR) update now scheduled for Oct 8, 2018, 15:00 UTC (11am EDT) via Adobe Connect. Dial-in info, questions, etc., here. Verisign Requests One-Year Extension (pdf) of current implementation deadlines under ICANN's Thick WHOIS Policy. Tim Berners-Lee announces Solid (domain: solid.inrupt.com), an open source project to decentralize the web and give users control of their data, and Inrupt (inrupt.com), a startup to guide the project. 2) New gTLDs Next Round? Comments closed Sep 26, 2018, to the Initial Report on the New gTLD Subsequent Procedures Policy Development Process (Overarching Issues & Work Tracks 1-4). Public Interest Community (pdf) members: Electronic Frontier Foundation (EFF.org), Samuelson-Glushko Canadian Internet Policy & Public Interest Clinic (CIPPIC), Public Knowledge, Martin Silva Valent, Esq. (Professor at Universidad de Palermo), Kathryn A. Kleiman (Center for Information Technology Policy, Princeton University), Leah Chan Grinvald (Associate Dean for Academic Affairs and Professor of Law, Suffolk University Law School), Eve J. Brown (Professor at Roger Williams University), A. Michael Froomkin (Professor, University of Miami School of Law), Bryan Bello (Center for Media and Social Impact, American University). and my submitted comment (pdf) embed below. I thank the U.S. Department of Justice Antitrust Division, for their affirming response which I received Friday. See also New gTLD Subsequent Procedures PDP September 2018 Newsletter (pdf). Feb 6, 2019 at 10:00 am Trial. ICANN63 is in Barcelona, Spain, Oct 20-25, 2018. Thursday, 11 October 2018, 10:00 UTC and 19:00 UTC. The open house will run in English with simultaneous Spanish interpretation. The presentation materials will be translated into Spanish, and posted following the open house with the recordings of the sessions here. Register via this form by 8 Oct 2018. More info here. --ICANN.org blog 26 Sep 2018. See also icann.org/registrants. e. SSR2 Restart, Terms of Reference Update (pdf). f. ICANN's new gTLD .BRAND extortion racket loses two more: .spiegel and .blanco. The growth in look-alike domains appears to be connected to the availability of free TLS certificates; 84% of the look-alike domains studied use free certificates from LetsEncrypt.org. c. Intellectual property and e-commerce: Alibaba’s perspective | wipo.int. Former Google CEO Eric Schmidt predicts the internet will bifurcate into Chinese-led and US-led versions within the next decade: "I think the most likely scenario now is not a splintering, but rather a bifurcation into a Chinese-led internet and a non-Chinese internet led by America."--CNBC.com. More information: digitalcooperation.org and @UNSGdigicoop. Tech Review (TR 2018-09-29)--Domain Mondo's weekly review of tech investing news with commentary, analysis and opinion: Features • 1) Digital Outdoor Advertising Growth Due To GDPR? 2) What Is Fintech? 3) Investing: The Week, Investing Notes: US, China, Trump & Trade Tariffs, 4) ICYMI Tech News. 1) Digital Outdoor Advertising is growing steadily, is GDPR one of the reasons? Digitization of traditional outdoor advertising has contributed to the healthy growth of the "Out of Home" advertising sector, says Aidan Neill, co-founder of bitposter.co. There are other reasons, too, such as the EU's General Data Protection Regulation (GDPR), which became enforceable May 25, 2018. CNBC.com video above published Sep 24, 2018. Other companies mentioned: clearchannel.com and jcdecaux.com. What is fintech all about? It’s a multi-billion dollar industry that’s changing everything from how we make purchases to how we get loans. Q3 2018: S&P 500 posts strongest quarter since 2013. "Economic progress continues in the United States … the data coming in is some of the strongest we have seen in this cycle ... let’s start with valuation ... [S&P 500] is selling at 17 times earnings, substantially below the peak multiples reached at the end of the last century or in 2007. Using my dividend discount model ... the index is now slightly above equilibrium, or fair value. In terms of sentiment, investors are optimistic, but not as euphoric as they were in January. These factors would argue that the market could move somewhat higher, but that a major surge is unlikely … weak markets elsewhere in the world don’t necessarily have a negative impact on the United States … One of the most important tenets of my current view is that the next recession will probably not occur until after the election in 2020 ..."--Byron Wien, Blackrock.com, Sep 25, 2018. Professor James Crabtree of the Lee Kuan Yew School of Public Policy explains the political dynamics coming from both the U.S. and China: US consumers are not going to feel any impact from tariffs for quite a long time. CNBC.com video published Sep 24, 2018. CNBC.com video above published Sep 24, 2018: Todd "Bubba" Horwitz of BubbaTrading.com says the U.S. could "survive without anybody if we had to," and he's not worried about tariffs or Trump's stance on China's theft of intellectual property and unfair treatment of U.S. companies. Amazon $AMZN still is the largest cloud provider at 34% market share, but Microsoft $MSFT at 14% share, is ahead of IBM $IBM 8%, Google $GOOGL $GOOG 6%, and Alibaba $BABA 4%, according to Synergy Research Group . Microsoft announced in July a five-year deal with Walmart $WMT to use Microsoft's cloud and AI tech. Microsoft's Intelligent Cloud revenues grew 23% in its fiscal Q4 to $9.61 billion and its Azure cloud business increased by 89%. Microsoft still maintains a strong position as software and hardware provider, while expanding into artificial intelligence, cloud computing, and IoT. Microsoft's acquisitions include LinkedIn and GitHub. Apple $AAPL completes deal to buy Shazam (shazam.com)--reuters.com. WeChat Pay vs. Alipay mobile payments: Tencent & Alibaba chase remittances in battle for Southeast Asia | reuters.com. Bitcoin prices may not have hit rock bottom yet, says Cboe options expert | MarketWatch.com. Media Madness: Comcast $CMCSA bid $40 billion for control of Sky; Walt Disney $DIS probably paid too much for parts of Rupert Murdoch’s empire, including a stake in Sky, so selling that stake to Comcast would reduce Disney's debt to better battle streaming rivals like Netflix $NFLX. See Fox and Disney selling stake in Sky to Comcast--TheHill.com. Quantum Computing meeting at the White House: National Strategic Overview For Quantum Information Science | WhiteHouse.gov (pdf). Personal Tech: Remove yourself from people search sites and erase your online presence | ZDNet.com--a step-by-step guide to reducing your digital footprint online, whether you want to lock down data or vanish entirely. Nokona baseball gloves are made in Nocona, Texas using a number of different leathers including kangaroo, cowhide and buffalo. From hot stamping, to embroidering, to lacing, Nokona has been handcrafting ball gloves since 1934. Video by Brian Schildhorn. Published by Bloomberg.com Sep 13, 2018. In the kale-filled facility at vertical farm startup Bowery Farming, it’s a piece of proprietary software that makes most of the critical decisions -- like when to harvest and how much to water each plant. But it still takes humans to carry out many tasks around the farm. Katie Morich, 25, loves the work. But as roboticists make gains, will her employer need her forever? Bloomberg.com video published Sep 20, 2018. At Bowery, we're committed to growing the purest produce possible. To us, that means using zero pesticides and non-GMO seeds. We distribute our greens locally and control the entire process from seed to store. Editor's note: the marriage of agriculture and technology is an evolving story. Bowery Farming's focus on fresh produce involves locally grown produce with consistent quality control and production management in order to serve as a trusted, reliable source to its customers and consumers. 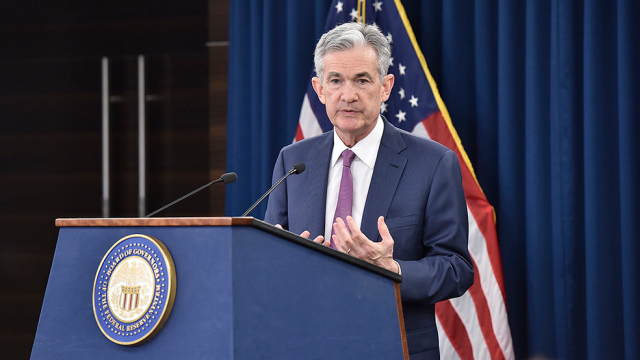 FOMC meeting on September 25-26, 2018: this meeting is associated with a Summary of Economic Projections and a press conference by the Federal Reserve Chair Jerome ("Jay") Powell. The 25 basis point increase to a 2.00% - 2.25% target for the fed funds rate was expected. Fed Funds Futures odds here. The 2:30 pm EDT press conference did include a question about trade policy although Chairman Powell has avoided this issue in the past. Will tariffs cause inflation, increasing the need for more rate hikes, or chill spending and capital investment, negating further need for higher interest rates? What is the impact of digital privacy regulation on the tech industry? TheAtlantic.com video above published Sep 14, 2018: Victoria Espinel, President, BSA | The Software Alliance, Michael Beckerman, CEO, The Internet Association and Dean Garfield, President and CEO, Internet Technology Industry Council. The panelists weigh in on adapting to regulation, the social impact of technology, and innovation. TheAtlantic.com video above published Sep 14, 2018: Harriet Pearson, Partner, Hogan Lovells, Bruce Schneier, Fellow, Berkman Klein Center for Internet and Society, Harvard University and Ari Waldman, Professor of Law and Director, Innovation Center for Law and Society, New York Law School share their thoughts on the importance of emphasizing innovation, risks of data collection and consumer rights. More info: protectingprivacy.theatlantic.com. US Senate Commerce Committee Hearing: Examining Safeguards for Consumer Data Privacy: U.S. Sen. John Thune (R-S.D. ), chairman of the Senate Committee on Commerce, Science, and Transportation, will convene a full committee hearing titled “Examining Safeguards for Consumer Data Privacy” at 10:00 a.m. EDT on Wednesday, Sep 26, 2018. LIVE video of the hearing will be available on commerce.senate.gov. The hearing will examine privacy policies of top technology and communications firms, review the current state of consumer data privacy, and offer members the opportunity to discuss possible approaches to safeguarding privacy more effectively. “Consumers deserve clear answers and standards on data privacy protection. This hearing will provide leading technology companies and internet service providers an opportunity to explain their approaches to privacy, how they plan to address new requirements from the European Union and California, and what Congress can do to promote clear privacy expectations without hurting innovation”--Senator Thune. Ms. Rachel Welch, Senior VP, Policy & External Affairs, Charter Communications, Inc.
*Witness list subject to change (source). The European Union's sweeping privacy law known as the General Data Protection Regulation, or GDPR, became enforceable May 25, 2018, requiring websites to be more transparent about how they handle personal data and giving users more control over what companies can do with their information. A month later, California passed the United States' toughest data privacy law to date in an effort to head off an even stricter ballot initiative. The new California law does not go into effect until 2020, setting off a push in the tech industry for national privacy standards that would prevent (preempt) states from enforcing their own rules. EFF.org: "The Senate Commerce Committee is getting ready to host a much-anticipated hearing on consumer privacy—and consumer privacy groups don’t get a seat at the table. Instead, the Committee is seeking only the testimony of big tech and Internet access corporations: Amazon, Apple, AT&T, Charter Communications, Google, and Twitter. Some of these companies have spent heavily to oppose consumer privacy legislation and have never supported consumer privacy laws. They know policymakers are considering new privacy protections, and are likely to view this hearing as a chance to encourage Congress to adopt the weakest privacy protections possible—and eviscerate stronger state protections at the same time. It is no coincidence that, in the past week, two leading industry groups (the Chamber of Commerceand the Internet Association) have called for federal preemption of state data privacy laws in exchange for weaker federal protections. For example, laws in California and Illinois require companies to have user consent to certain uses of their personal information (Nevada and Minnesota have these requirements for Internet access providers), while the industry proposals would only require transparency. That means that companies would be allowed to collect information without your permission as long as they tell you they’re doing it. The upcoming hearing at the Senate Commerce Committee may be the launch pad for this strategy of undoing stronger state laws ..."
Microsoft Ignite has sold out. Watch the keynotes and sessions LIVE--join the live stream starting September 24 here. Domain Mondo's weekly internet domain news review (NR 2018-09-23 with analysis and opinion: Features • 1) ICANN & GDPR, EPDP F2F Meeting in LA, Sep 24-26, 2) ICANN New gTLDs CCT-Review Report, and more, 3)a.Canada's TM law, b. GoDaddy & new gTLDs, c. ccTLD .eu, and more, 4) ICYMI: Internet Freedom (EU,UK), Net Neutrality (US), 5) Most Read. ICANN EPDP Working Group Face-to-Face Meeting in LA Sep 24-26, 2018. Google Map of ICANN offices and hotel and logistics info (pdf). Non-members of the EPDP Team can follow EPDP meetings via Adobe Connect or audio cast via browser or application. LA F2F Meeting wiki page: agenda with local (PDT) and UTC times, slides, documents, recordings. Meeting facilitators: David Plumb, Gina Bartlett and Toby Berkman of CBI.org. ICANN CEO Goran Marby met with the EPDP working group Tuesday: Adobe Connect replay and MP3 audio replay. Updated (9/25) worksheets for Purpose A (pdf), Purpose E (pdf), Purpose M (pdf). Adobe Connect replay (video) & audio MP3 links on the meeting wiki page. Meeting Transcripts' links on meeting wiki page and GNSO Calendar. Chat Transcripts: Day 1 (pdf); Day 2 (pdf); Day 3 (pdf). Editor's note: links to EPDP meetings' transcripts are posted (usually within 24 hours) on the GNSO calendar. See also EPDP Team wiki, mail list, Temp Spec, EPDP Charter (pdf), GNSO's EPDP page, & weekly updates to GNSO Council. Sep 18, 2018: "The BC/IPC [ICANN Business Constituency and Intellectual Property Constituency] recently sent a letter [pdf] to ICANN org about the accreditation and access model. This letter seems problematic at this stage of the game. We discussed this issue ad nauseam during the EPDP Charter development and the Council has tasked the EPDP with addressing the Annex. To ask ICANN org to circumvent the EPDP undermines the policy development process and seems disingenuous to the Council's approval of the Charter. In addition, the EDPB's July 5 letter [pdf] states responsibility for designing an access model lies with ICANN and the registries/ registrars, not just ICANN as indicated in the BC/IPC letter. Will our BC and/or IPC councilors please shed some light on this?" --Darcy Southwell (RrSG). Sep 19, 2018: "Darcy has asked an excellent question. As an outgoing councilor, I guess I can afford to be blunt here. What is going on? I quit the RDS PDP after two years of soul destroying work because it was blindingly clear we were going nowhere, and the Board was already working on a temp spec to override anything we were doing. IS the same thing going to happen with the EPDP? I am deeply concerned about the integrity of the multi-stakeholder process. Sorry for being direct, but time is precious." --Stephanie Perrin (NCSG). Editor's note: the lone response from either BC or IPC councilors as of Sep 21, 2018, is here. educational efforts, or what we ought to be doing at this point) ... Useful also in that it crosslinks to relevant standards." Kurt Pritz (EPDP Chair): "Okay, Milton ..."
EPDP Sep 20 meeting chat transcript (pdf): Amr Elsadr (NCSG): "I'm in favor of attempting to answering the Charter questions, as opposed to redlining the temp spec." ... Kristina Rosette (RySG):+1 Amr (answering charter questions and not redlining TS) ... Milton Mueller (NCSG): "Please, let's not redline Temp Spec" .... "our ultimate objective is to replace the temp spec with a real policy, have we forgotten that?" ... farzaneh badii (NCSG): "why are we thinking about section by section. lets think about charter questions, the data elements, answer questions and then see which sections of temp specc has to be revised." Milton Mueller (NCSG): "exactly, Farzy." Amr Elsadr (NCSG):@Farzi: +1 .... Milton Mueller (NCSG): "An access method is outside the gating question" ... Ashley Heineman (GAC): "I agree Milton" ... Thomas Rickert (ISPCP): "Kurt - I think Milton made an excellent point when he said that you can only have a discussion about redaction once you know what you collect in the first place" ... Ashley Heineman (GAC): "... I think the charter questions provide a good framework for our discussions" ... Milton Mueller (NCSG): "I am going to leave the call ... this is a waste of time" ... Thomas Rickert (ISPCP): "... Today, I am quite frustrated because we do not seem to be making any progress at all." Editor's note: The continual diversions to access and 3rd party purposes and interests, particularly by Facebook's Margie Milam and Microsoft's Mark Svancarek (BC EPDP members), together with the inept EPDP Chair's dysfunction, is fast sinking any chance of this EPDP working group addressing 3rd-party "access" to redacted WHOIS registration data, due to a lack of time, if nothing else. But again, that may be the strategy of the IPC (Intellectual Property Constituency) and BC (Business Constituency) in order to put more "pressure" on ICANN management and the ICANN Board to adopt and implement a "unified accreditation and access model" more to IPC and BC's liking, without input from this EPDP working group. See BC/IPC Sep 7 letter (pdf) to ICANN CEO Goran Marby. “I came into this thinking that the fastest way home was to sort of redline the temporary specification"--Kurt Pritz, EPDP meeting Sep 20, 2018, transcript, supra, p.10. In other words, Kurt Pritz thought he knew a better way than following the GNSO Council's EPDP Charter, which is why the EPDP team is behind schedule and "off track" as it arrives in LA this week for its face-to-face meeting. I have observed every meeting of this EPDP working group, and thus far, from all indications, it appears Pritz lacks the intellect, aptitude, and/or skills, to be an effective EPDP Chair. Until the Chair's dysfunction is addressed, this EPDP isn't likely to get much done. More info and updates on last week's meetings in last week's News Review. UPDATE Sep 24 POSTPONED: ICANN org 1-hour webinar Wednesday, 26 Sep 2018, 15:00 UTC (11am EDT), on recent data protection/privacy activities of ICANN related to the European Union's General Data Protection Regulation (GDPR), via Adobe Connect (dial-in info). More info here. The webinar will be recorded and published here according to ICANN.--Webinar to be rescheduled per ICANN. GNSO Council Meeting Thursday 27 September 2018 at 04:00 UTC. Agenda (pdf) Item 7: "Council Update – Temporary Specification for Registration Data Expedited Policy Development Process - Recurring Update (15 minutes)." EPDP Q&A re: EPDP on the Temporary Specification for gTLD Registration Data. What Domain Resellers Should Know About ICANN’s Temporary Specification | enom.com. Claimed Failure to Disclose GDPR’s Collateral Impact Leads to Class Action Against Nielsen Holdings--jdsupra.com. Hard Times With WHOIS? INTA Wants To Know--jdsupra.com. A Slice of GDPR in California?--jdsupra.com. Editor's note: a good start? Hardly! New gTLDs are (for the most part) a BIG #FAIL, but ICANN's CCT-Review Team was unable or unwilling to honestly assess and acknowledge ICANN's Mistakes, Fiascos, and Horrible Implementation which resulted in this disastrous new gTLDs program. Recommendation: Relegate this CCT-Review Report to File 13. But did anyone really expect anything different from this Review Team handpicked by former ICANN CEO Fadi Chehadé? b. Root KSK Rollover: ICANN Board approved (with dissent) to change or "roll" the key for the DNS root on 11 October 2018 (first time the key has ever been changed)--ICANN.org. See also What To Expect During the Root KSK Rollover (updated 17 Sep 2018)(pdf). c. ICANN Webinars on Proposed Updates to Draft Operating Standards for Specific Reviews 04 Oct 2018: 16:00 UTC, and 05 Oct 2018: 00:00 UTC. More info here. d. GNSO Project List (pdf) 19 Sep 2018.
e. New gTLD .Merck: Merck KGaA’s written Submission (pdf) in support of Oral Presentation to BAMC on 4 Sep 2018.
f. is for FAIL: ICANN Reviews | glassdoor.com--what ICANN employees are saying about ICANN: "Sinking ship ... Senior management don't seem to have a clue ... Highly political and run by SJW's with ego problems ..."
a. Trademarks: changes to Canada's trademark laws will remove the use requirement, possibly opening up the trademarks register to a flood of speculation. The changes, set to come into effect next year, will also institute three international trademark treaties: the Nice Agreement, Singapore Treaty and Madrid Protocol--CanadianLawyerMag.com. Editor's note: forget about domain speculation, trademark speculation may be the speculators' new game of choice and Canadian trademark lawyers' equivalent of ICANN's new gTLDs program. 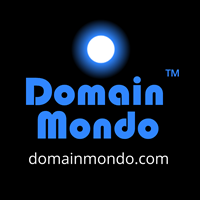 b. Domains: Top Registrar in World: Godaddy has only 5.8% of top 16.6 MILLION New GTLD Registrations! | ricksblog.com. Editor's note: GoDaddy $GDDY, the world's largest domain name registrar, manages 21% of all domain names in the world--expandedramblings.com--but new gTLDs' domain names comprise only 1% of all domain names managed by GoDaddy. Why? New gTLDs (for the most part) are a BIG #FAIL. c. ccTLD .eu: Euro bureaucrats tie up .eu in red tape to stop Brexit Brits snatching back their web domains | register.co.uk. d. Prepared especially for ICANN's Next Round? A Top Level Domain (TLD) Registry In A Box, don't you want your very own brand new gTLD? EU: "EU copyright rules would limit online freedom"--Mitchell Baker, Executive Chairwoman of Mozilla, Mountain View, CA, US--ft.com. But see also "French applaud EU copyright reform vote"--euractiv.com. UK: "Politicians are threatening our right to have private discussions - we must not let them ban secret social media groups"--telegraph.co.uk. US: FCC Chairman Ajit Pai Slams California Net Neutrality Bill--"The internet should be run by engineers, entrepreneurs, and technologists, not lawyers, bureaucrats, and politicians," Pai said. Pai is also citing a recent federal court of appeals ruling as evidence states lack the legal authority to reimpose net neutrality. 2. Tech Review: Amazon $AMZN Platform Power, Startup Role Model?